We are thrilled to announce that your GLP Global Grant for the 2016-2017 Rotary year has been approved by The Rotary Foundation for the amount of $435,583! Congratulations! 124 clubs and 25 districts contributed to the Global Grant this year, and your generosity will provide the gift of literacy, education, and training to more than 6,000 indigenous children and teachers in rural Guatemala. 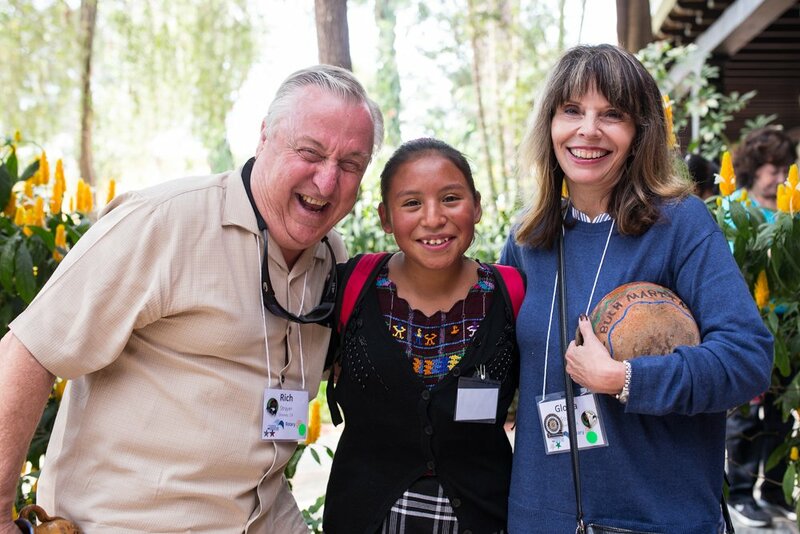 Each year, two Rotary clubs sponsor a new iteration of the GLP Global Grant so that we can continue to expand the reach of the Guatemala Literacy Project and help thousands more underserved students. The Rotary Clubs of Downey, California (D-5280) and Guatemala Vista Hermosa (D-4250) were honored to co-sponsor this year’s GLP Global Grant (#1642745). We would like to sincerely thank you for your support of this project, and encourage you to join the next GLP Global Grant, which will be co-sponsored by the Rotary Clubs of Guatemala La Reforma (D-4250) and Calgary, Alberta (D-5360). We have been told by The Rotary Foundation that the GLP Global Grant is the largest Global Grant that The Rotary Foundation awards in the Basic Education and Literacy area of focus. The project has even caught the attention of incoming RI President Ian Riseley, who will travel to Guatemala this August to see what your club has accomplished in partnership with so many others around the world. We certainly hope you will continue to support this project, which is quickly becoming well known in the Rotary world. Visit our “Join the Global Grant” page to learn how. Thank you again for making this possible, and congratulations on a job well done. P.S. All clubs that have contributed to the GLP over the past 20 years are now permanently recognized in a distinguished Wall of Honor at the new Education Center of partner organization CoEd. Visit this link to see a photo!